We’ve got a delicious new way to get in those powerhouse greens and bonus, it tastes ah-mazing! 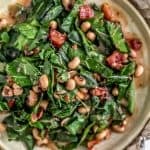 Full of flavor and filled with healthy, wholesome ingredients, this simple Collard Greens and Black-Eyed Pea Salad will be sending your taste buds to flavor town. 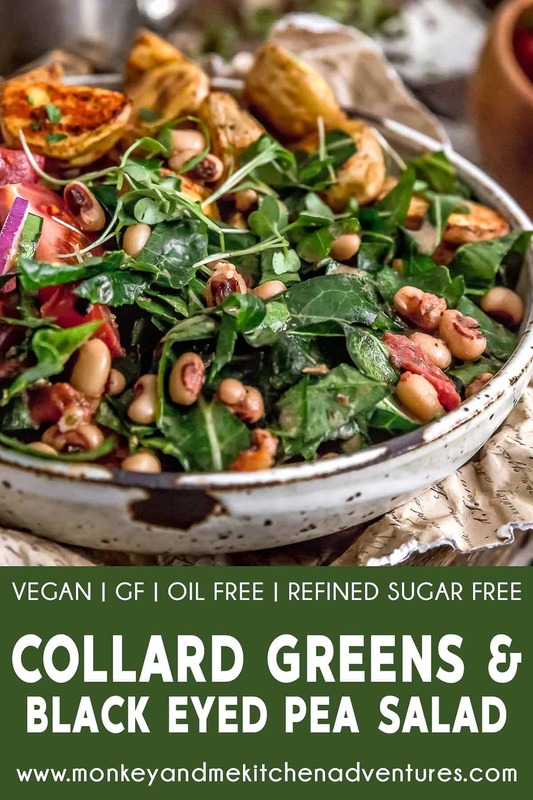 Vibrant, nourishing collard greens, hearty black-eyed peas, and sweet fire roasted tomatoes, all tossed in a tasty dressing, are packed with antioxidant spices and herbs! 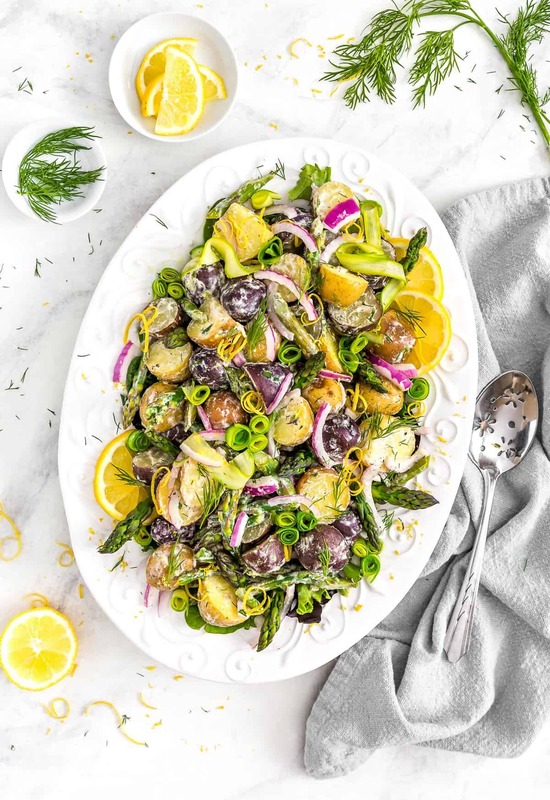 Perfect for lunches and dinners alike, don’t let 12 minutes stand between you and this fantastic salad, making it this week’s awesome Whip It Up Wednesday recipe. 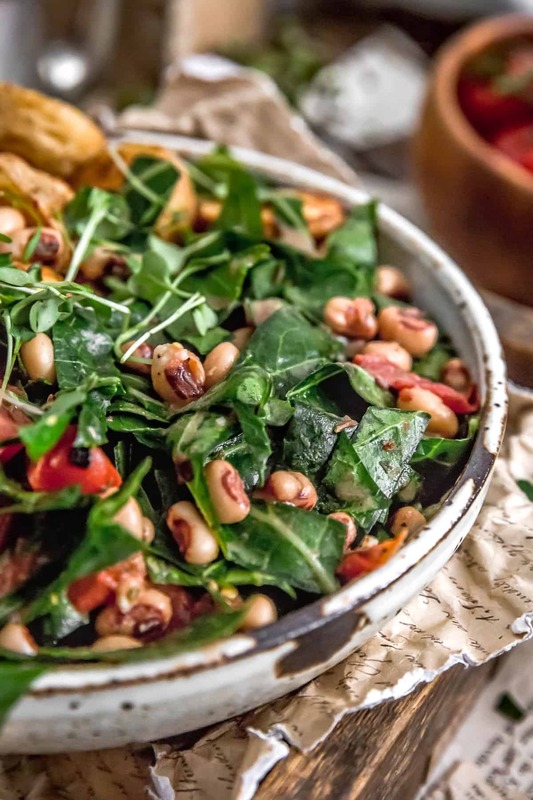 This week’s Whip It Up Wednesday is our yummy Collard Greens and Black-Eyed Pea Salad. 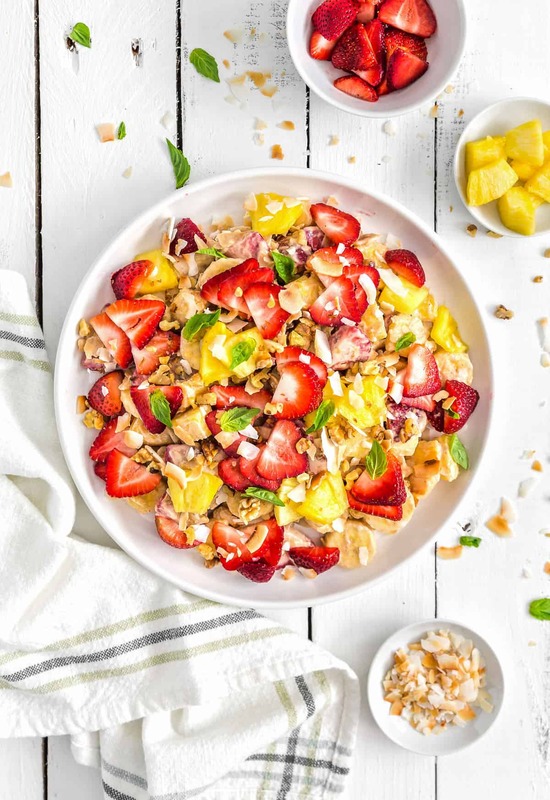 In just 12 minutes you can prepare this delicious salad that is sure to put a smile on your face. Perfectly tangy with just the right amount of spices and herbs sends this easy to make salad into utterly deliciousness. 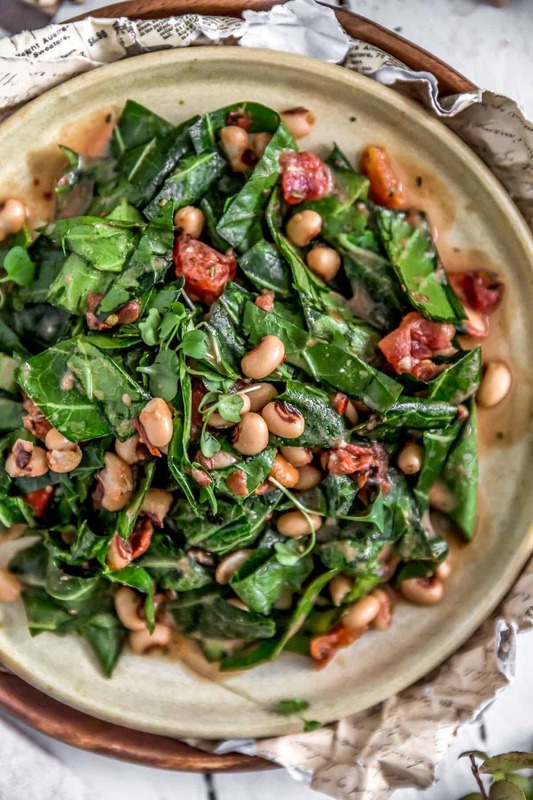 The collard greens in this dish are raw; but don’t let that stop you from trying this tasty dish. 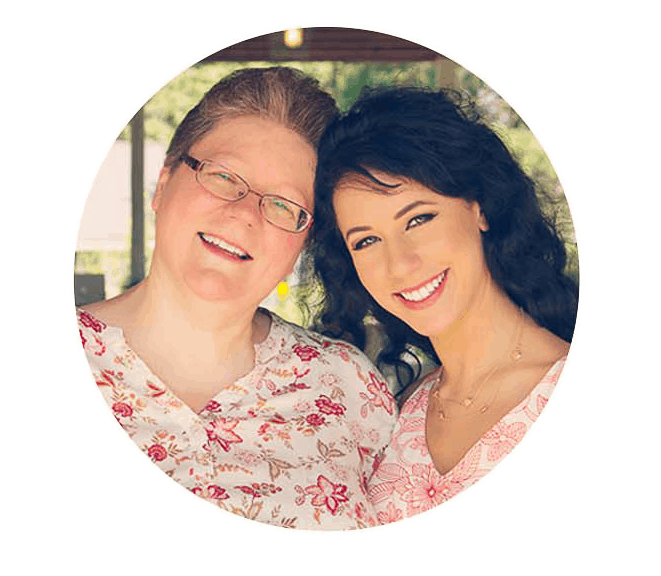 The vinegar not only gives a delicious tang, it also helps marinate and remove some of the rawness bringing forward all the wonderful benefits of raw collards. Eat your greens!!! 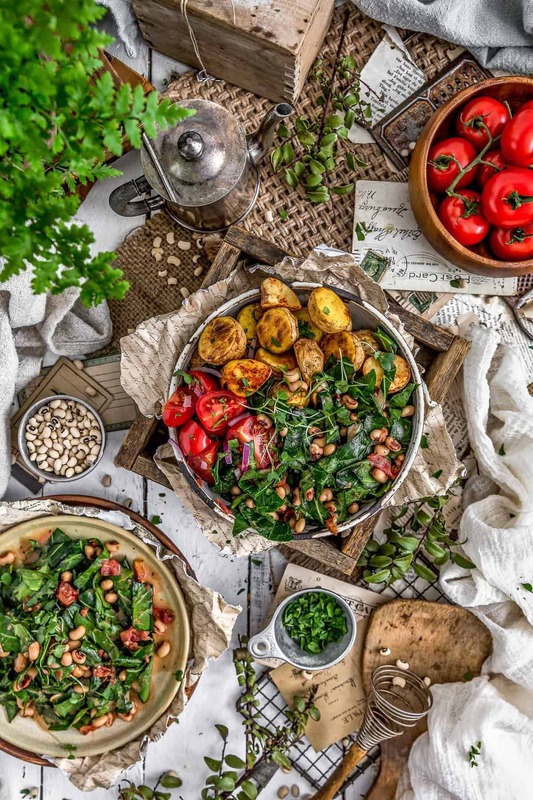 Greens are so good for you! Collard greens are an excellent source of Vitamin K, Vitamin A, manganese, Vitamin C, calcium and also an excellent source of fiber. The vinegar dressing in this dish will slightly break down the raw aspect of the collard greens. 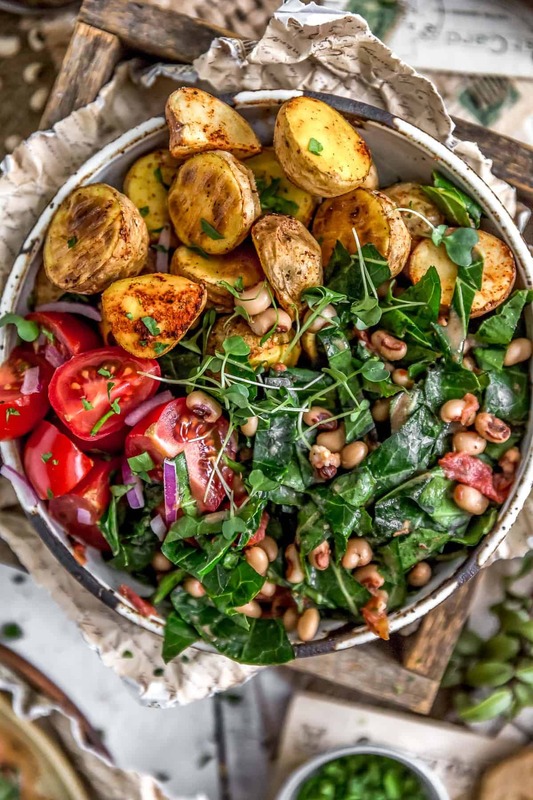 Be sure to select young healthy collard green leaves for this dish. Overly large, more mature leaves will work, but may need to marinade longer. 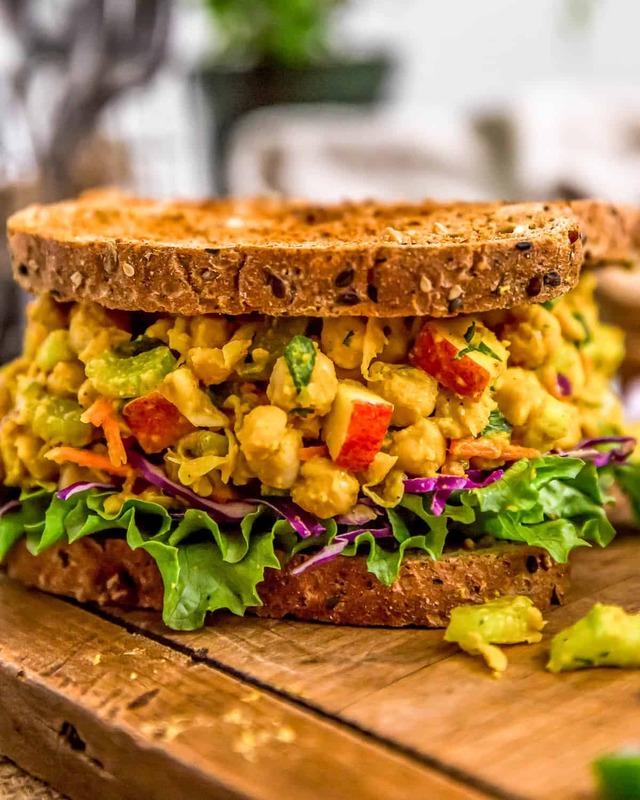 Whole Food Plant Based Win! Add all the dressing ingredients into a bowl, whisk well to combine, then set aside. Remove the thick, tough center vein of the collard green leaves, then chop the leaves into random sized small pieces and strips. You want to create some randomness in sizes and shapes. This improves the structure of the salad, so all the pieces are not uniform and stick together. 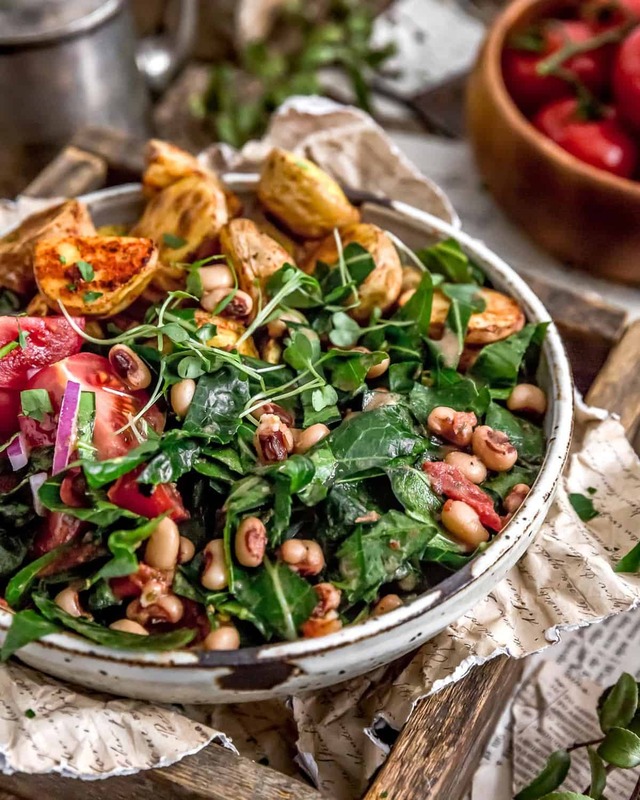 Then add the chopped collard greens, black-eyed peas and fire roasted tomatoes to a bowl, mix well to evenly distribute, then drizzle half of the dressing over mixture. Mix well. Then drizzle additional dressing over the mixture as needed to dress the salad. You may or may not have some dressing left over. Best served at room temperature.Can be served cold from the refrigerator. If refrigerated, remove the salad from the fridge and allow to sit for 30 minutes. This allows the seasonings to wake up. Add any remaining dressing (if needed) and gently toss.